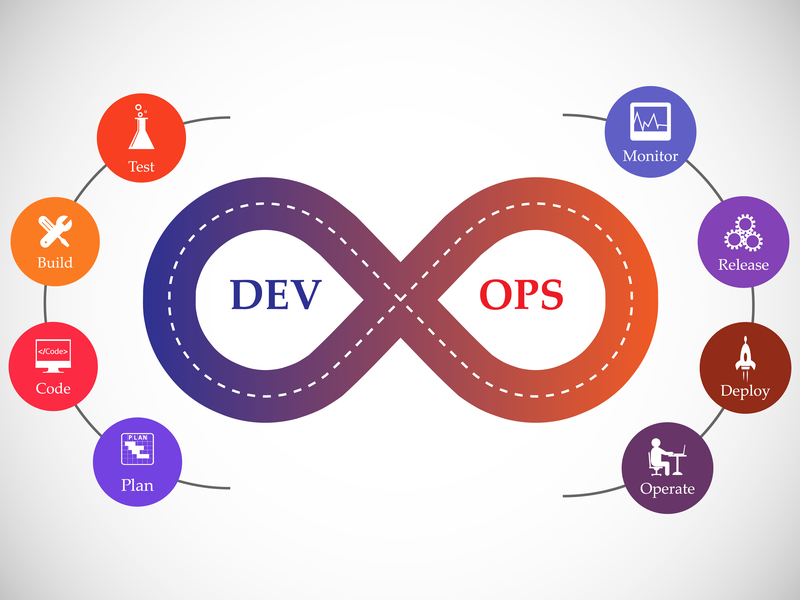 DevOps is an emerging professional movement in the IT industry which facilitates a collaborative work relationship between the software development and the IT operations teams. Implementing it is very beneficial to companies that have frequent software releases. The main goal of the DevOps process is to increase the stability, reliability, and flexibility of the production environment. This, in turn, increases the business productivity and value through a continuous delivery of products and services. Version control tools are used by software teams to manage and change source code over time. Git is the most popular version control tool that enables DevOps engineers to track the progress of their development work. To use Git effectively, it needs to be integrated with the DevOps workflow. For enabling this integration, repositories need to be hosted for team members who can push their work. GitHub is currently the best online Git hosting repository. It allows the creation of unlimited public reports and has an increasing number of project management features. Users can access public repositories for free, whereas private repositories come with various paid plans. Jenkins is one of the more popular continuous integration and delivery tools available in the DevOps domain today. It is an open-source, extensible, and distributed continuous integration/continuous deployment (CI/CD) server that allows the automation of different stages of the delivery pipeline. A cross-platform Java application, Jenkins can be configured and run by its built-in browser interface. Using Jenkins, engineers can iterate and deploy new code quickly, and in that way, development teams can measure the success of each step of the development pipeline. It has a built-in GUI (Graphical User Interface) tool for easy updates and requires little maintenance. Jenkins offers more than 1000 plugins and integrates with almost all DevOps tools. Since its launch in 2013, Docker has been the number one container platform in the DevOps space. As it’s an open platform, Docker makes it easier for sysadmins and developers to push code from development to production without using clashing or different environments during the entire application lifecycle. Docker enables distributed development by automating the deployment of apps. Applications are isolated into separate containers, so they become portable and more secure. The Docker containerization platform uses containers to encapsulate all the requirements that an application might have, including system libraries, dependencies, and tools. These containers are cross-platform, lightweight, and isolated for security. For DevOps engineers, Kubernetes is the default tool for container orchestration. It helps them in keeping track of containers and automates their deployment and redeployment. A container orchestration platform may not be required if there are only a few containers. If resources need to be scaled and hundreds of containers need to be managed, Kubernetes allows engineers to automate the whole process. With Kubernetes, containerized apps needn’t be tied to a single machine. They can instead be deployed to a cluster of computers. Chef, Ansible, and Puppet are the most widely used configuration management tools by DevOps professionals. A systems and cloud infrastructure framework, Chef, enables DevOps professionals to automate the building, deployment, and management of infrastructure through short, repeatable scripts called “recipes”. Its key value proposition is its ability to describe infrastructure in a domain specific language (Ruby) and to configure and maintain it with code. With Chef, DevOps engineers get a granular control over their infrastructure with a human-readable language, integrate with a wide variety of systems such as Azure, Azure, etc., and create “recipes” that describe particular configurations. Chef saves an enormous amount of time and money for organizations and businesses that need to quickly reconfigure and deploy new infrastructure components. Ansible is a simple and easy to use configuration management tool. 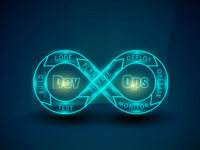 It is one of the most important tools in the DevOps pipeline since it helps engineers in automating cloud configuration, provisioning, and application deployment. Ansible has a unique feature called agentless architecture. Without the use of configuration files for simple tasks, such as triggering updates and reboots, it can be directly run from the command line. As a result, it is a secure and lightweight solution for configuration management automation. Puppet is a cross-platform configuration management platform similar to Chef and Ansible. It is mostly preferred by DevOps engineers due to the simplicity of its declarative programming language and gentle learning curve. It provides them with the tools necessary to enforce security policies, develop effective security frameworks, and securely scale infrastructure. Puppet automates infrastructure management and helps in the secure and fast delivery of software. For small projects, Puppet provides developers with an open-source tool. For larger infrastructure, it is available as an enterprise package called Puppet Enterprise with different pricing options for different requirements. Puppet Enterprise can enable the management of multiple teams and thousands of resources. Puppet has more than 5,000 modules and can integrate with many popular DevOps tools. SonarQube is a continuous inspection tool that assists in managing code quality. It has the capability to analyze code in about 20 different programming languages. SonarQube offers visual reporting on and across projects. To analyze metric evolution, it enables engineers to replay the past code. Nagios is an open source and free DevOps monitoring tool. It enables DevOps engineers to find and fix problems by monitoring their software infrastructure. They can keep records of outages, failures, and events using Nagios. It also helps in forecasting outages and errors and detecting security threats through its reports and graphs. DevOps is a continuously evolving field. New tools and systems are expected to arrive and replace the current ones in the future. When that happens, DevOps engineers should be proactive in taking the onus of keeping themselves abreast and well-versed with the latest available tools. The more knowledge they garner, the better is their chances of making it big in the DevOps world. Why Linux Containers Are As Cool As Docker Containers!